Choosing a diet plan is an important step toward weight loss. You want to select a plan that you can stick with long enough to see results. Before starting any diet, it is wise to visit your doctor for a complete physical. Getting advice from a registered dietitian is also a good idea, because your dietary intake can be tailored to your individual lifestyle and needs. In addition to these healthcare resources, here are a few things to look for in a healthy weight loss diet. Most importantly, your diet plan should be realistic. Any program that claims you will lose weight quickly or that requires the purchase of expensive supplements should be closely scrutinized. Including all three of these components contributes to easier weight loss and long-term success. In order to achieve your dietary goals, you need to understand the physiology of how dieting works. One pound of weight contains 3500 calories. This means you have to burn this many calories to lose one pound of body weight. With a daily deficit - where you burn more calories than you take in through decreased calorie intake and increased exercise -- of about 500 calories, the rate of weight loss will be one pound a week. The recommended rate of weight loss is one to two pounds a week. This will help ensure that fat is being lost. Losing more weight than this means you may be losing your lean body mass in addition to fat. However, in the first week or two of your plan, you may notice a weight loss of greater than one to two pounds. This loss is mostly water weight. The slow, gradual weight loss of fat usually begins after these first weeks. To ensure you get all the nutrition that your body needs throughout your weight loss, your diet plan should include all the food groups. Each food group provides different nutrients that your body needs to function normally. Food choices within each food group and portion size are also very important. A diet plan that tells you that a specific food group (such as fat or carbohydrate) is "bad," or a plan encouraging the exorbitant consumption of a single food group, such as "eat all the protein you want" should be avoided. Most diet plans do not include a calorie breakdown, but a healthy weight loss plan should contain at least 1200 to 1500 calories a day to include all of the necessary vitamins and minerals. 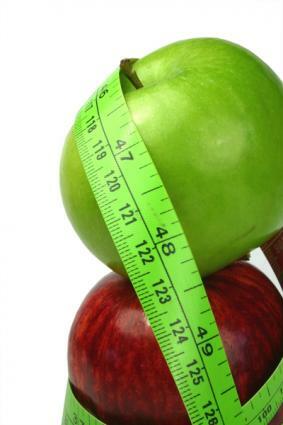 A weight loss plan monitored by a physician can be the exception to this rule. Past diets: Have you tried different diets in the past? You should consider what worked for you and what didn't when selecting your new diet plan. If dieting alone without support did not work for you in the past, you may want to consider a plan that includes some group support or help from a dietitian. Long-term viability: A diet plan that requires specialty foods will be difficult to follow for the long-term; you also have to factor in that you will have to continue to pay for these foods until you meet your weight loss goals. That could make your diet very expensive. Adaptability to different situations: You should be able to apply your food choices in any social situation, such as parties and eating at restaurants. In the beginning, it might help to avoid situations that you know will trigger overeating. As your habits change, and you become accustomed to your new lifestyle, it is reasonable to add these situations back into your life. Your everyday diet plan should also take into account any current health issues you might have like diabetes or high blood pressure; your physician or dietitian can help you make any adjustments that might be needed. In addition to addressing food, physical activity, and the psychological aspects of weight loss, a healthy plan should include rest, stress reduction, and an overall healthy lifestyle. Instead of just a weight loss plan, it should be based on the idea of wellness that includes healthful eating and its role in an overall healthier lifestyle. A good example of incorporating overall wellness into your diet plan is finding ways to deal with stress that do not involve turning to food. It is often said that losing weight is the easy part but keeping it off is the hard part. Whether this is true for you or not, select guidelines that focus on long-term maintenance of weight loss. It is best to focus on behavior change so that after you meet your weight loss goals, you don't revert to old bad habits and regain the weight.